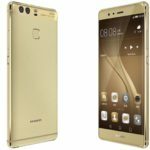 Recent research by TrendForce, a Taiwan based research company found that the global smartphone sales hit 320 million units in the second quarter, led by the top-five market leaders Samsung with a 24.5 percent share, Apple with 15.1 percent, Huawei with 9.2 percent, Oppo with 5.6 percent and LG with 5.4 percent. 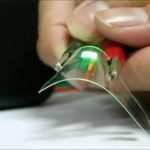 In recent months we have seen from various media reports that the local Chinese brands such as Oppo, Huawei and Xiaomi are gaining market share from established brands such as Samsung and Apple. 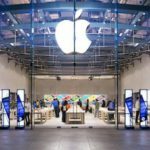 Although it may appear that Apple is falling behind in its attempt to coax new customers in this part of the world, it is only a matter of time that the sales numbers begin to show up as a favorable trend. There are three main reasons for this thinking. One, the hardware upgrade cycle for Apple has been running behind that of its competitors. The last major iPhone upgrade, the iPhone 6 variants, was in Sept 2014. 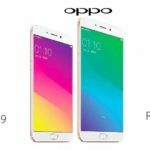 Other brands meanwhile have introduced new phones to the market, such as Samsung with its Galaxy S7’s this year and OPPO with its popular model that proved to be a hit among the young Chinese consumers. Once the new iPhone 7 models are introduced this year, Apple will have a product for the consumers that can afford a top shelf product in the developing market. Rumors suggest that Apple will have three different choices for the iPhone 7 model for its customers. In the sub $500 category for SmartPhones, Apple was not able to position itself with an attractive offering to consumers for the longest time. That seems to have changed now with the iPhone SE offering. More consumers are beginning to upgrade their iPhones and changing over from Android over to iPhone SE. New estimates show that this new 4-inch model SE has captured upwards of 16% of the US market share in its launch quarter. In markets such as China, India and other Asian countries, where customers are more price sensitive, the new iPhone SE will definitely establish itself as an attractive choice at this new pricing point. Lastly, there is a notion among some pundits that Apple May be loosing its brand appeal when it comes to iPhones. This is quite far from the truth. 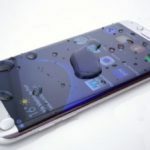 A survey conducted by Gallup Korea this week found that Koreans in their 20s prefer Apple Inc.’s iPhone to other smartphones, while the Galaxy S by Samsung Electronics Co. is preferred by those in their 50s and 60s. It speaks volumes when Apple is able to position itself as a top brand among the young demographic in a country where smartphone penetration rate is 90% and the market is Samsung’s home turf. Apple is expected to announce its earnings next week, July 26th. The stock has risen slightly from its month long slump and is trading close to $100 mark this week. 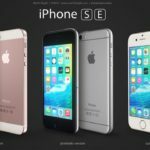 Although expectations around iPhone sales numbers are not as optimistic for this reporting period, it will be interesting to hear the leadership’s comments about the iPhone SE sales and also their take on the new hardware upgrades that are projected to be released in the third quarter of this year. Apple’s new iPhone SE: What’s at stake?